Growing Up Disney: Register Early for the 2012 Marathon/Half/Goofy and Save! Register Early for the 2012 Marathon/Half/Goofy and Save! 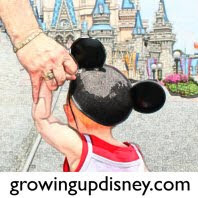 Click here for a past article about how my family uses the Disney Visa to "save" a little extra fun money for vacation. Baby E2 will still be a little bitty one in early 2012 so I won't be joining you this time, but to those who will run the 2012 races, "EARS TO YOU!" and happy training.